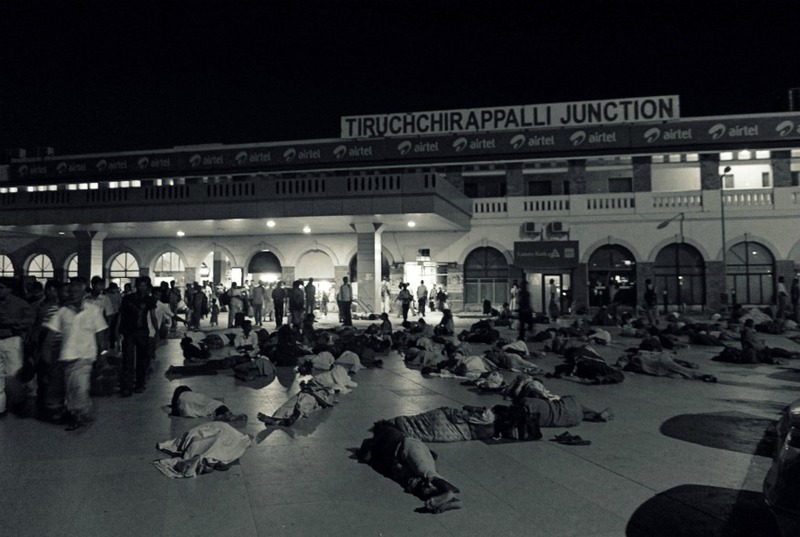 1:50am, Trichy station entrance. Seeing people just lying there on the bare floor with their luggage as pillows, is weird. Weird coz this was a first time for me. Reminded me of those grim aftermath pictures you see from a major accident or riot. You could tell from the people walking by, that this was nothing out of the ordinary. Only in India?